Kim Wall, a freelance journalist, is missing off the coast of Sweden after boarding a submarine with a subject last Thursday. 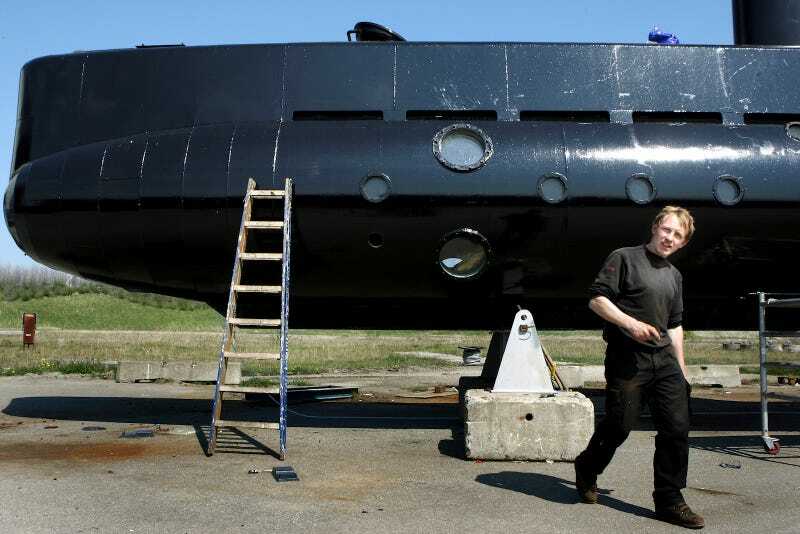 According to police, the owner and builder of the submarine, Peter Madsen, sunk the submarine on purpose. No body has been recovered; Madsen has been arrested on a charge of involuntary manslaughter. Isbak described the scene further to the AP, saying, “there was then some kind of airflow coming up and the submarine started to sink.” Madsen stayed in the tower until water began pouring into it. As the boat sank, he swam to a nearby boat, Isbak told the AP. However, Madsen alleges that the submarine went down because of an issue with the ballast tank and he had no time to close the sub’s hatches and prevent it from filling with water. Madsen was arrested hours after his narrow escape. According to the Associated Press, Madsen maintains that he left Wall at the Harbor on Thursday, though her boyfriend says she never returned home. Madsen’s is known for crowdfunding money for his building experiments, and the UC3 Nautilus that went down was branded “one of the world’s largest home-built submarines.” The BBC describes him as a “hobby engineer” and reports that his next planned conquest was space: he wanted to launch a rocket from the Baltic sea off a floating platform, with a person inside. Madsen is being detained for 24 days per a judge’s ruling as the search for Wall continues. &apos;I Am a Girl Now,&apos; Sage Smith Wrote. Then She Went Missing.